Who is to blame for Malawi’s stubbornly high interest rates and what needs to be done to bring the costs of borrowing down will be the questions at the centre of discussions when financial and economic experts meet in Mangochi District today during the Monetary Policy Conference which the Reserve Bank of Malawi (RBM) has organised. The conference comes at a time Parliament is in the process of drafting a bill to put a cap on interest rates in a desperate attempt to protect the borrower. According to RBM, Finance Minister Goodall Gondwe is expected to deliver a keynote address during the conference which will be held under the theme ‘Persistence of High Interest Rates in Malawi’. Although, there has been a considerable decrease in the lending rates recently, Malawi’s cost of borrowing remains comparably higher than the regional peers. At around 25 percent, the rates are among the highest in sub-Saharan Africa. Analysts believe at the current level of interest rates, the financial system’s ability to spur development is relatively constrained. Guest speakers at the conference include Bank of Zambia Governor Denny Kalyalya and Central Bank of Kenya Governor Patrick Njoroge. Some of the topics to be discussed include the role and future of forward looking monetary policy in Malawi; drivers of interest rates in Malawi; how low can interest rates go? ; commercial banks and microfinance interest rate setting in practice in Malawi and experiences with interest rate caps. RBM Director of Communication and Protocol, Mbane Ngwira, said the conference will help clarify the role of the RBM as well as the role of commercial banks and government in the interest rate setting process. Ngwira said the conference would also be used to sensitise the public on the current monetary policy reforms and the direction of monetary policy in the RBM. “It is hoped that, after the conference, a clear consensus would emerge on why interest rates are where they are in Malawi. 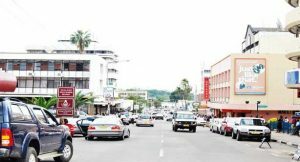 It is also hoped that a clear understanding would also emerge on the role of the banking system (including RBM), government and the private sector in the bid to reduce the levels of interest rates in Malawi. “Direction of the monetary policy reforms will be provided to all stakeholders,” Ngwira said. Ngwira said the conference would also assist RBM to start preparing the public for a fully-fledged inflation targeting monetary policy framework that the central bank plans to implement in the medium term. Currently, different stakeholders have different understanding and interpretation regarding the necessary levels of interest rates in an economy. The differences are primarily driven by different interests. For instance, from a business point of view, the banking system and foreign investors will normally be in favour of high interest rates that maximise their profits. On the contrary, other economic agents prefer lower interest rates for affordable loans.